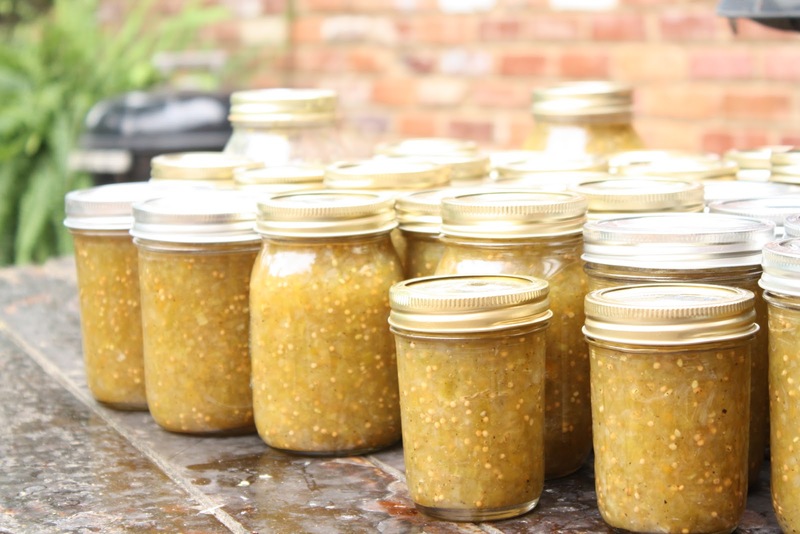 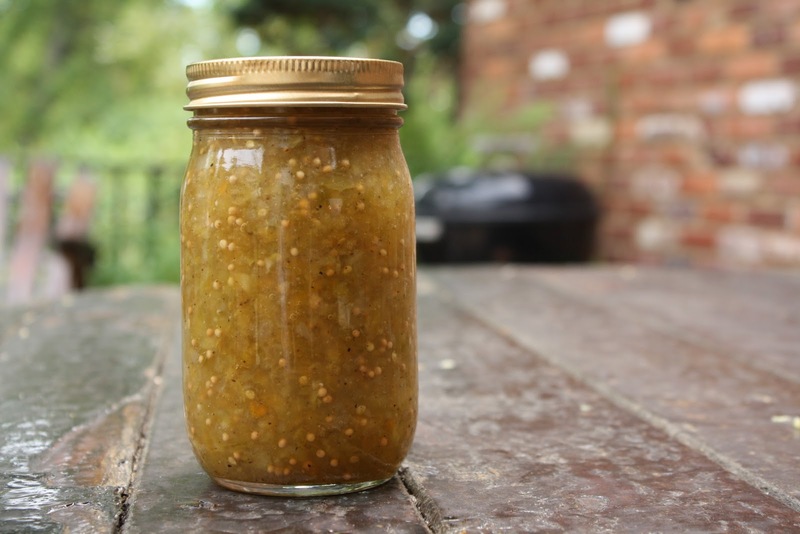 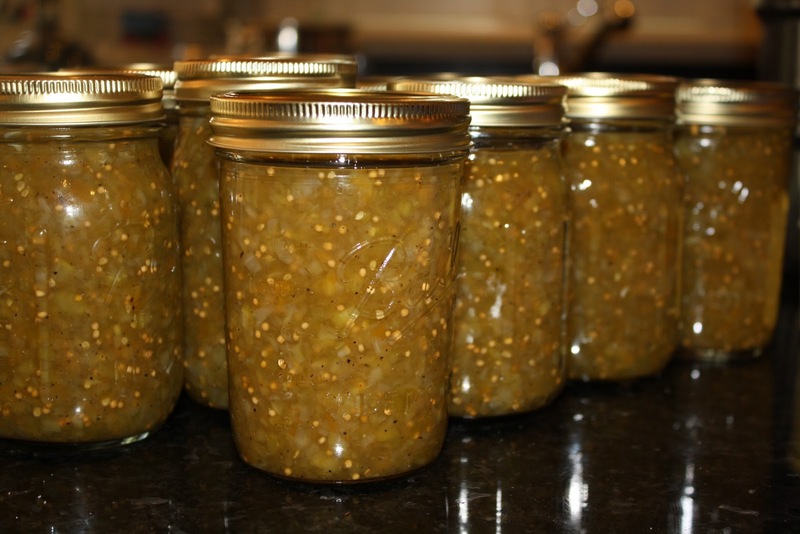 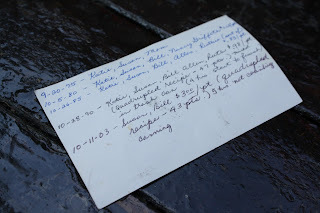 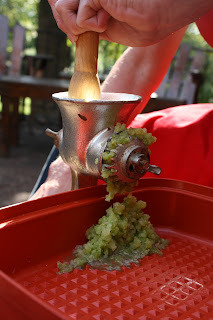 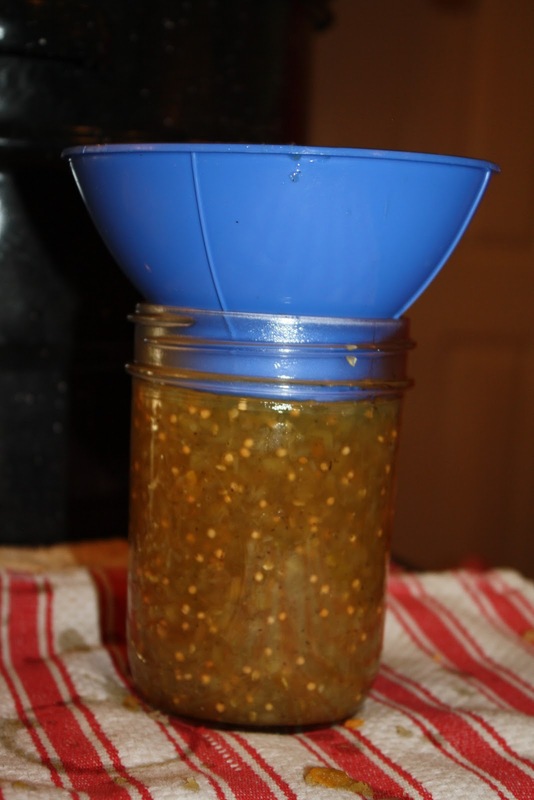 Years ago, long before I was born, or my parents were born for that matter, my great grandmother, Mom Gordon, received a recipe on how to make french pickle relish. 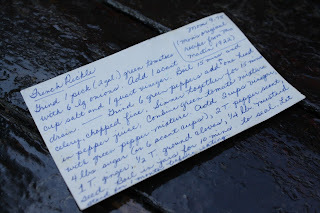 Dating back to the 1920's, this recipe has been in my family for years and my mother has been making it since the 1970's. Containing absolutely no cucumbers, instead using green tomatoes, this is a rather unique recipe. 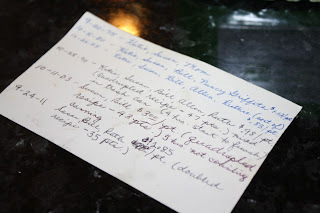 Mom Gordon was not one of those women who kept her recipes to herself or left out a key ingredient when she gave someone a recipe (I can't stand those people) but she did insist that no one could have this recipe unless they came and made it with her first. 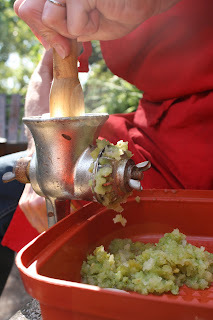 It is a process, one that takes patience, an old meat grinder and a few large pots. 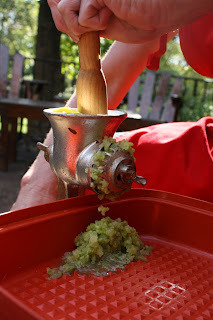 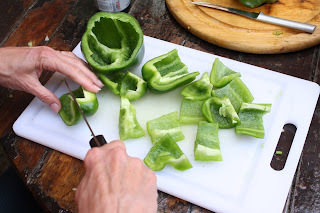 Typically made in the fall, as that is the best time to get green tomatoes that haven't started to turn red on the inside, this recipe lends itself to a perfect fall day when most of the chopping and grinding can be done outside...it has the potential to get really messy! 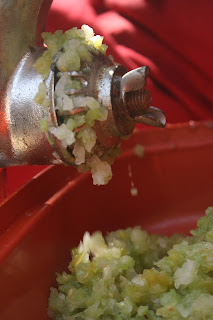 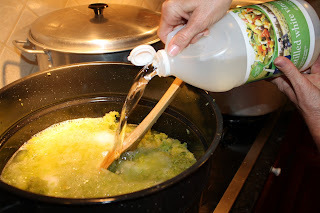 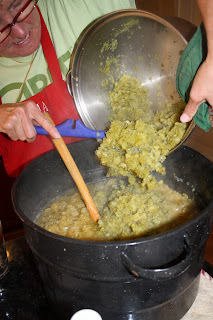 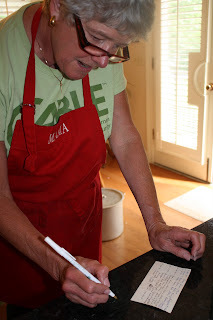 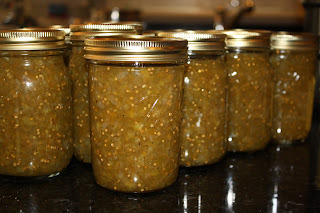 Recently I got a call from my mom saying that she was heading over to Howell's (the vegetable tent next to Hillsboro Highschool) in search of green tomatoes and had planned to make pickle relish. 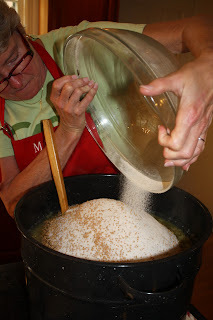 I knew I wanted to include this on my blog as it is one of our oldest family recipes, so I packed up my camera and Annabelle and headed to Mom and Dad's. As Mom was finishing up her grocery shopping, Dad and I started getting the porch ready for the relish making! 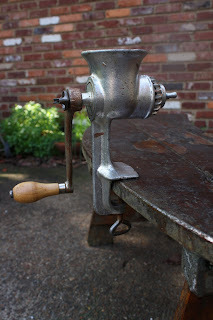 Some of you may have never seen this contraption before but I assure you it is not a ancient torture device, it is in fact a meat grinder. We have several of them as it seems every member of my family had one and they have all ended up in my parents cabinets but I see them all of the time at flea markets and they actually carry them on Amazon as well! 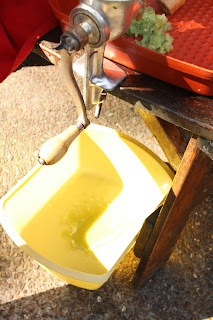 It is my opinion that the older the better when it comes to these devices as the older ones just seem to work better. The point is that you really must use a meat grinder for portions of this recipe but some more modern kitchen appliances can be used in other parts. 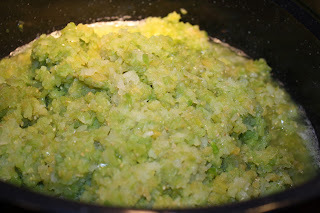 Grind 1 peck (2 gall=1/4 of a bushel) green tomatoes with 6 large onions. 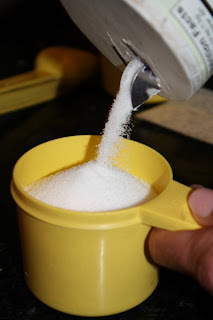 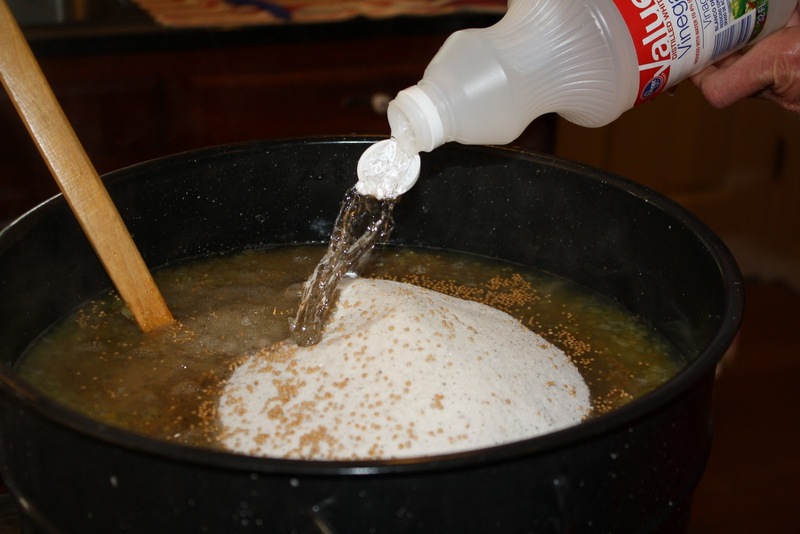 Add 1 scant cup salt and 1 quart of vinegar. 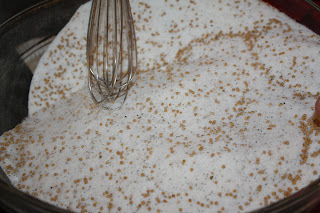 Boil all ingredients for 15 minutes and drain. Don't forget to put a bucket under the grinder as there will be lots of juice that escapes....you don't want to use that juice, but you also don't want it all over the floor! 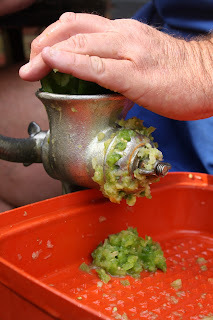 Grind 6 green peppers add to one head celery, chopped fine. The celery can be chopped by hand (ugh!) 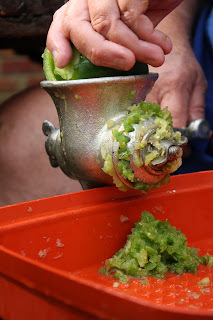 or in a mini food processor...just pulse the processor and make sure not to puree the celery and you are good to go! 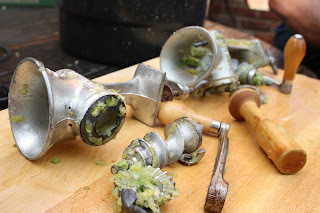 The meat grinders really look like a graveyard when you take them all apart! 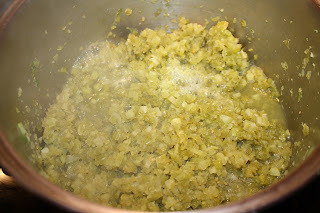 Simmer together for 15 minutes in pepper juice. 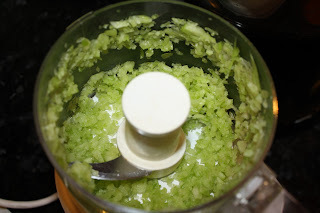 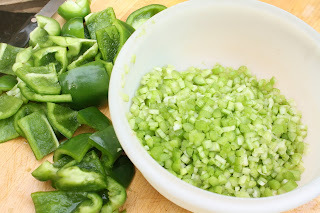 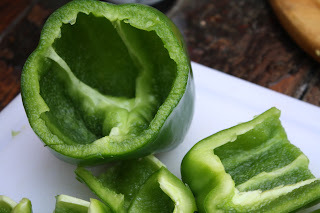 Combine green tomato mixture with green pepper mixture. 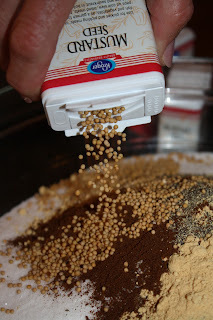 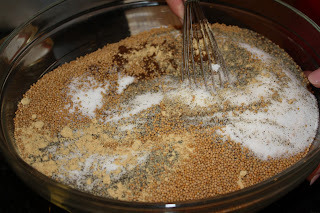 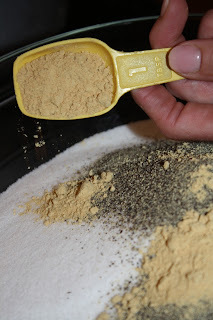 Combine dry ingredients4 pounds sugar (or 6 scant cups), 2 tablespoons pepper scant, 1 tablespoon ginger, 1/2 tablespoons ground cloves, 1/2 pound mustard seed. 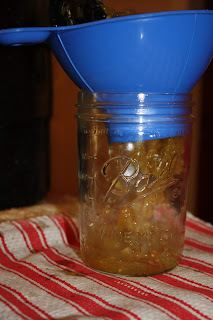 Pour dry ingredients into the tomato/pepper mixture and then add 2 cups vinegar. 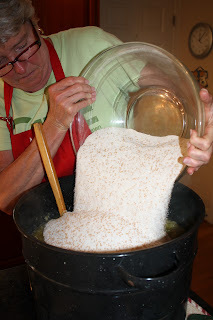 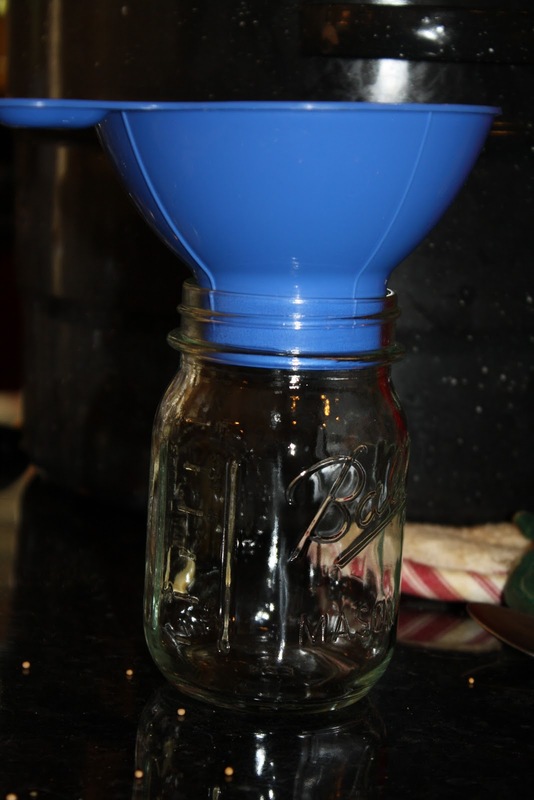 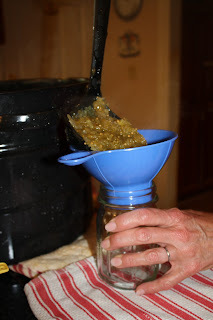 Pour into quart jars and boil in jars for 10 minutes to seal. 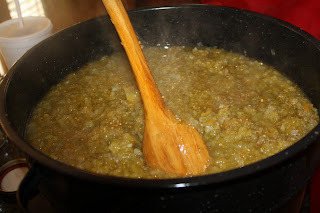 Let stand for 1 month before eating. Mom updates the records so when we make these again in 10 years we will remember how much we were able to make! We are nothing if not impeccable note-takers! 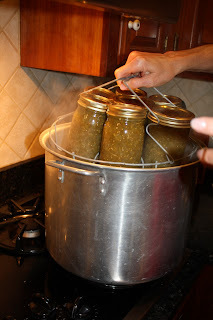 Your pictures are great. The process looks quite involved. 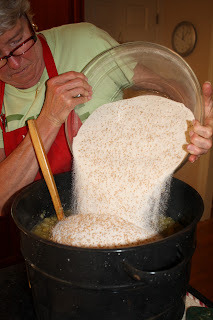 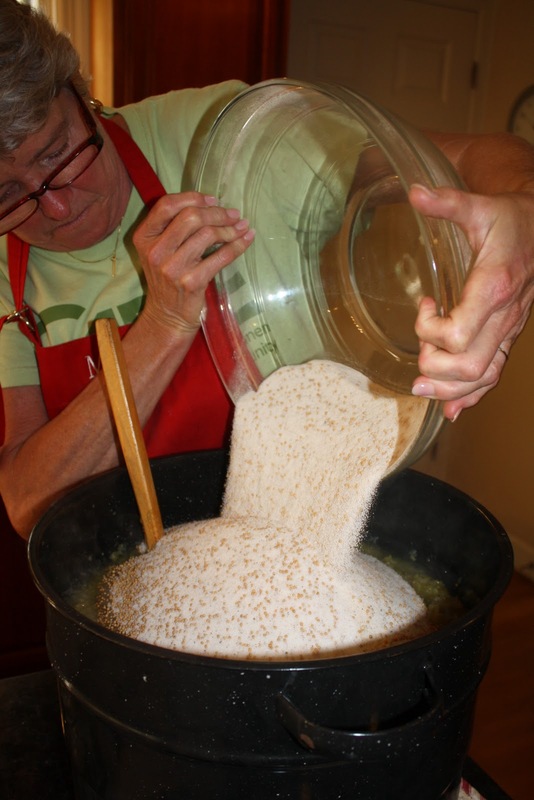 From start to finish, how much time does it take to make one batch? 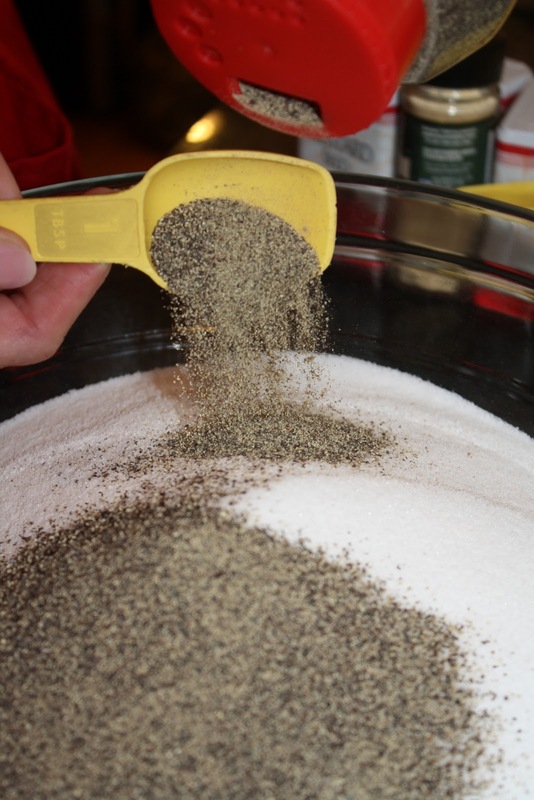 I would say that one batch would take about 2 hours. 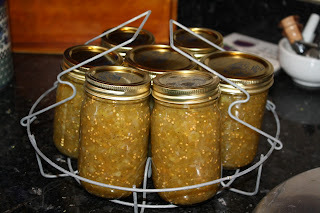 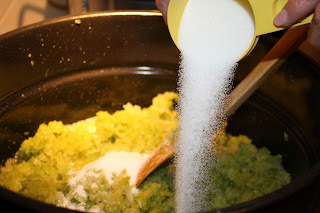 I have found that it is just easier to double the recipe, devote one afternoon and knock it out...you will have more pickle relish than you know what to do with but it lasts forever!